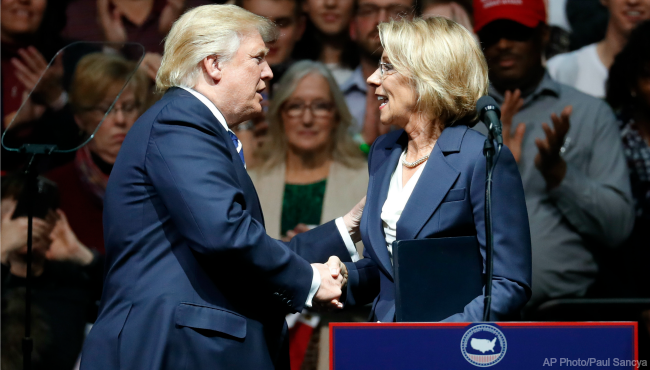 With choice champion, Betsy DeVos, under consideration for Secretary of Education, I thought it would be a good time to revisit what school choice really means. This post is adapted from my book, A Parent's Guide to Public Education in the 21st Century, published by Garn Press. What could be more American than choice? The country was founded on the principle of freedom of choice in speech, in religion, in the press, in assembly. Corporate education reformers tap into this most American of values by stating that parents, who after all pay for their child’s education through taxes, should have choice in where they send their children to school. If a school is not performing well, and for the reformers this means the school is achieving low test scores, parents should have the right to choose a different school. As reformers are often heard to say, “zip code should not be destiny.” In other words, where you go to school and the quality of the school you go to should not be determined by where you live. This story is repeated over and over throughout the country daily and real estate agents are sure to include the quality of the schools in their sales pitch when the schools have a good reputation. Of course, a reputation for high quality schools means high housing costs and usually high property taxes (and efforts to limit affordable housing). A large portion of the populace is effectively excluded to access to these “high-achieving” school districts by economic inequity. While all of this may sound good and may appeal to the American sense of freedom, civilized societies have long recognized that choice is not an absolute good. In America, we have the choice to smoke if we wish. I am old enough to remember entering the smoke-filled teachers’ lounge in Bristol Jr.-Sr. High School in the 1970’s. Smokers and non-smokers graded papers, planned lessons, held meetings and ate lunch in a haze of cigarette smoke that yellowed the fingers of the smokers and the formerly cream-colored walls of the cramped room. Today, of course, we may still smoke if we wish, but we do not have the choice to smoke in the teachers’ lounge or anywhere on school property for that matter. We have come to recognize that one person’s choice to smoke may infringe on another person’s choice to breathe. I am also old enough to remember when seat belts were first introduced into cars in the late fifties and how we were more likely to sit on them than strap them around our waists. Using the seat belt was a choice. While we can still make that choice, when we do so we are breaking the law and can be fined for failure to “buckle-up.” The government came to realize that our choices needed to be limited for the public good. Seat belts saved lives and saved medical costs and so our choice was legislated away. Like many of my generation, I was a vocal opponent of the Vietnam War. In those days there was much talk about choosing to withhold that part of our taxes that was being used to wage the war. Those who tried this were brought to court by the Internal Revenue Service. The courts, of course, ruled that because the government was charged by the Constitution to “provide for the common defense”, the government had every right to collect my taxes for the military. I was free to choose to speak out against the war, assemble peacefully to protest the war and write letters to the editor about the war, but I could not withhold my taxes. My choices were limited by law. In our society we have come to recognize that choice is a good thing as long as it does not interfere with others’ choices. What if an inner-city parent’s choice is to send a child to a clean, safe, well-resourced, professionally-staffed, neighborhood public school? By draining away the limited funds and resources available for public education, charter schools and voucher schemes infringe on that parent’s choice. Public monies are rightly spent to make that good local school a reality. In public education, as with smoking and seat belts and the military, the government must choose to limit our choice in order to provide for, as the Constitution says, “the common good.” Public education is a common good that privatization in the form of charters and vouchers will destroy. For more on the damage that charter schools and vouchers do to public education see my earlier posts here and here. And they're better than a wall. This song came on my Pandora channel yesterday (yes, my Pandora channel is the old fogey folkie station) and I couldn’t get it out of my head. As I sit here on the eve of the inauguration of a president who promises to be a “wall builder” one of my favorite singer/songwriters is singing of bridges, both physical and metaphorical. I cannot help to think back to a presidential inauguration of 56 years ago – the first one I can really remember and one I remember vividly. It was, of course, the inauguration of John F. Kennedy. One of the speakers at Kennedy’s inauguration was the great American poet Robert Frost, gray haired, and looking chilled and frail in the January cold. Frost, I am reminded, also had his opinions about walls. We teachers are bridge builders. At our best we build bridges to transport students from the known to the new, from ignorance to understanding, from illiteracy to literacy, from fear to comfort, from anxiety to calm. At our best we are among Frost’s “something’s” that do not love a wall. We break down walls of prejudice, of resistance, of self-doubt, of anger, of turmoil and replace them with bridges of tolerance, caring, encouragement, calm, and routine. 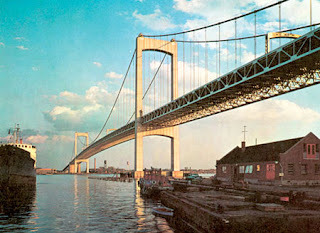 Great leaders, too, are bridge builders. Great leaders appeal to our better, not our baser, selves. On that long ago inauguration day, John F. Kennedy appealed to us to “ask not what your country can do for you, but what you can do for your country.” One-hundred years earlier, Abraham Lincoln warned that “a house divided against itself cannot stand.” And 30 years ago, Ronald Reagan went to the Brandenburg Gate in Germany and demanded, “Mr. Gorbachev, tear down this wall!” Great leaders (and great poets) understand that the history of the world favors the bridge builders and opposes the wall builders. Walls divide. Bridges unite. Demagogues divide. Leaders unite. The in-coming president has called for the building of a literal wall between our country and Mexico. No matter how you feel about that piece of political policy, the metaphorical walls the president-elect is building between us are much more concerning. Political analysts say that the Trump candidacy has given voice to people who feel that they have not been heard. Fair enough. But if that unheard voice is the voice of ignorance, prejudice, violence, and base self-interest, then it is the true leader’s responsibility to guide these voices toward a better understanding of what America truly stands for. The new president will swear to “preserve, protect and defend The Constitution of the United States.” That Constitution says that its purpose is “to establish justice, insure domestic tranquility, provide for the common defense, promote the general welfare and secure the blessings of liberty.” We can disagree about how to accomplish these ideals, but we cannot disagree that these ideals apply to all Americans and that building bridges to make sure that all Americans (and especially the poor and powerless) receive these benefits is the chief job of any president. I will be waiting anxiously to hear how President Trump plans to be a bridge builder. I am not really interested in any walls (or hotels) he wishes to build. Is Mr. Trump a leader or a demagogue? Your journey will end with the ending day. I am pleased to present this guest post by Lesley Roessing, Director of the Coastal Savannah Writing Project and Senior Lecturer in the College of Education, Armstrong State University. Lesley is a former graduate student of mine at St. Joseph's University in Philadelphia, PA. Like any teacher I love to see my students make good. A meta-analysis of 41 studies examined the effect of choice on intrinsic motivation and related outcomes in a variety of settings with both child and adult samples. Results indicated that providing choice enhanced intrinsic motivation, effort, task performance, and perceived competence, among other outcomes. I wake up and roll out of bed. What shall I eat? Cereal? Oatmeal? Bagel? Breakfast bar? I have choices. No one tells me what to eat; I eat what I want and what I feel I need—limited only by what is available. Maybe I want to eat oatmeal fourteen days in a row; possibly I have a craving for a decidedly less-healthy donut on a particular day. The following day I try a multi-grain, no-sugar, vegan-friendly cereal bar, knowing that I can discard it if I take three bites and find I hate it. I go to my closet. Again, I can wear what I want, limited only by what I own and what I deem appropriate for the day ahead—my purpose, my audience. I experience the same situation with what I watch on television, what movies I view, and what books I read. I make my own choices, sometimes with the advice of friends or colleagues and sometimes with the guidance of experts in the appropriate field. Sometimes I read a book because my book club is reading it, but again I have the choice of which book club to join and whether to read that month’s book so I can attend and contribute to the meeting. I experience some failures but a lot of successes along the way. I have come to know myself as a viewer and reader. What is our aim in including reading and literature in the curriculum? If our aim is to grow lifelong readers, I contend that we are failing. According to studies, about 50% of Americans polled are alliterate, which means 50% of Americans can read but rarely do so. A third of high school graduates never read another book for the rest of their lives, and neither do 42% of college graduates. The other day, a friend and I were talking about the classics, and I asked her, a former teacher, if she had read a certain novel. She laughed. “Yes, the Cliff Notes version.” That is not an anomaly. When I asked my university Adolescent Literature class how many had ever read Spark Notes or Cliff Notes instead of a novel or multiple novels, almost 100% raised their hands (even the pre-service and in-service English teachers). There is a reason these companies stay in business. And what’s the point? No one said they read the Notes along with the novel because they couldn’t understand the novel; they read them instead of the novel because they didn’t want to read the novel. If they are reading merely a synopsis and explanation, why assign the novel? A few weeks ago I was talking to a middle school teacher about working with her class to read self-selected books in book clubs. She turned to me and said, “I don’t I can do this. I have to tell you; I am content-driven.” I looked confused. I said, “I can’t think of one novel where the content was important—unless the reader is appearing on Jeopardy.” I am not saying that students shouldn’t be introduced to all sorts of literature, including the classics. Many, including me, love many of the classics, but I was a reader first. When I look back to what I remember reading in middle school and high school, it was what I read on my own—not self-selected choice reading for class, but reading completely outside school, for my own benefit. After all the Nancy Drew mysteries, I read anything about Edgar Cayce and Henry VIII, all the books by Dr. Tom Dooley, any biography by Irving Stone, and Daphne DuMaurier novels. There probably were more. I can’t remember anything I read for school. Despite school I continued reading, but many college students have told me that they stopped reading in middle school, when they were told what to read. In the two courses I teach which required reading YA novels, self-selected with a genre or issue, at the end of the course students tell me that they forgot how much they liked to read or that they didn’t know they liked to read. You might have noticed that I have been using the term “students,” rather than “readers.” That is because we first have to grow readers, students who think of themselves as readers and are on their way to becoming life-long readers. I had many eighth grade students who admitted they never had previously read an entire book or had read only one or two books in the previous middle school classes or rather fake-read those books. Those same students became readers of twenty to thirty books by the end of that eighth grade year. How? I would like to take the credit and say it was my amazing choice of whole-class reads and exhilarating discussions of plots, character, setting, and figurative language, and the spell-binding tests I gave. But in honesty, the answer was choice—theirs. Choice was the prime motivator. At the end of seventh grade, Dave told me that he was “not a reader.” On the last day of school, he turned to me and said, “I still don’t think I like to read but I haven’t read a book this year that I didn’t like.” (He read at least 25 books that year). I don’t employ a whole-class text to teach students how to read and what they should read, but to open up the possibilities of how to read and what to note and notice. When readers move on the self-selected individual reading or group-selected book clubs, I encourage them to read novels, memoirs, and nonfiction in diverse genres, formats, a variety of challenge level and lengths, and with multicultural characters, by multicultural authors. While I don’t require certain quantities, I want them to be aware of their choices and extend them. I introduce readers, and they introduce each other, to books though book talks, book blogs, book trailers, book passes, gallery walks, and featured books-of-the-week. Reading should be personal. Not every book speaks to every child. However, when a student finds that book, a reader is born. It takes the right book at the right time for the right reader to make the match. This could be the topic, the issue, a character, the writing, or even the setting. I just read Jordan Sonnenblick’s Falling Over Sideways, and even though I already love his writing style and reading about the eighth graders I taught for twenty years, what hooked me was the father’s stroke. My mother had a stroke and lived for many years with the physical and mental limitations. I am an adult and my mother was older than Claire’s father, and I don’t know how common stroke is with middle-aged men, but many of my students lived with, or near, their grandparents who in many cases were their caretakers, or had an ill parent, and this novel would have resonated with them. Other books have hooked me for other reasons, but it is always personal. 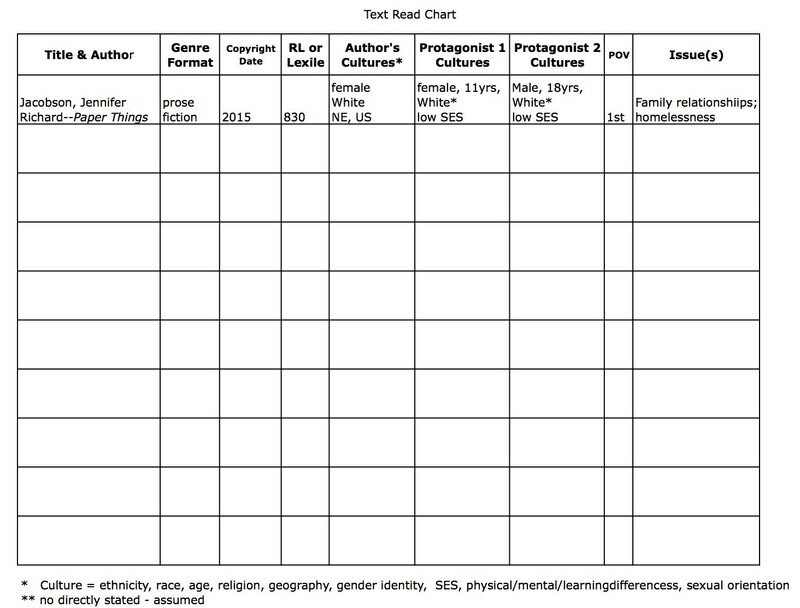 The most important strategy a teacher can employ is to have books in the classroom, a diversity of books (refer to the chart above when adding to your library). I was lucky to be able to build a classroom library over the years and even though we had a wonderful school library and a librarian who gave the best book talks ever, most of my “reluctant” readers chose books from our classroom library which was shelved by genre and where an “abandoned book” (one that had been previewed but still not found to be enticing after 2-3 chapters) could be returned and the next book on a personal list could be checked out. To build a library, the holidays are a good time to ask for library presents. Any student or parent who wishes to give a gift can contribute a book in their child’s name. Design a “Book Given in the Honor of…” tag for parents or students to complete and affix to books. The students could even take part in a contest and then the winning designs copied onto labels, the contest advertising the wish for books. Imagine the pride when readers can point to favorite books they chose to share with others. Lesley Roessing is Director of the Coastal Savannah Writing Project and Senior Lecturer in the College of Education, Armstrong State University. She designed and teaches a course in Bibliotherapy to use picture books and YA literature to help guide children and adolescents through problems. 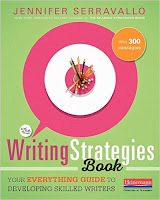 Lesley is the author of The Write to Read: Response Journals That Increase Comprehension (Corwin, 2009), No More “Us” and “Them”: Classroom Lessons & Activities to Promote Peer Respect (Rowman & Littlefield, 2012), Comma Quest: The Rules They Followed; The Sentences They Saved (Discover Writing Press. 2013), and Bridging the Gap: Reading Critically & Writing Meaningfully to Get to the Core (Rowman & Littlefield, 2014). Contact her at Lesley.roessing@armstrong.edu or follow Facebook.com/coastalsavwp. As I am sure you are aware, Senate hearings on Donald Trump's nominee for Secretary of Education begin Wednesday, January 11, 2017. When the nomination was first announced, I wrote of my concern to my Pennsylvania Senator Pat Toomey. Toomey sent back a letter indicating his full-throated support of DeVos. This time I am writing to the other Pennsylvania Senator, Democrat Bob Casey, who serves on the Senate HELP committee who will interview DeVos and decide on whether or not to send her nomination forward. Trying to stop this dangerous nomination is an uphill battle, of course, with Republicans controlling the Senate, but Casey, through recent actions expressing concern about DeVos' conflicts of interest, has at least shown some concern about this nominee. And Casey is actually on the HELP Committee that will interview DeVos, so it is worth a shot. I won't detail here why DeVos is an historically lousy choice for the job. Peter Greene, over at the Curmuducation blog, has already done a terrific job of that. What I offer here is a list of questions that I suggest Senator Casey, or someone on the panel, ask. I am writing today to suggest some questions that you might ask candidate for Secretary of Education, Betsy DeVos at the upcoming Senate hearings. DeVos is an extremely ill advised choice, as I think will be readily apparent if you can get her to answer the questions below. 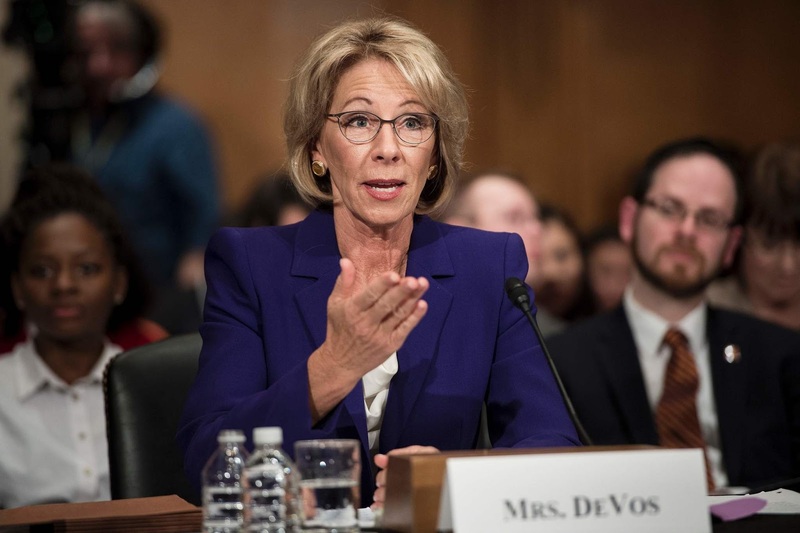 Ms. DeVos, would you please state, concisely, any relevant experience you have had in public education, either as a student, a teacher, a school leader, a public school board member, a parent of a public school child, a PTA member, a volunteer in a traditional public school or as someone who once drove past a public school? You have a long record of advocating for school choice in the form of vouchers and charter schools. What if parents' first choice, as it is for most American families, is to send their children to a clean, safe, well-resourced, professionally-staffed, local neighborhood public school? How would the voucher and charter school schemes you advocate support this kind of choice? In your home state of Michigan, you and the foundations you support have fought hard to make sure that governmental oversight of charter schools is extremely limited despite indications of widespread fiscal mismanagement and poor academic performance. Should charter schools be subject to the same financial and academic scrutiny as traditional public schools? If not, why not? The Detroit Free Press has called you the lobbyist "at the center" of the current "deeply dysfunctional" school choice landscape in Detroit. Policies you have heavily advocated for and supported are on full display in that city. How is that working out? Would you care to take the committee on a site visit to Detroit to see the impact of your good works? Randi Weingarten, President of the AFT, has called you "the most ideological, anti-public education nominee put forward" since forever. Talk about how you will develop good working relationships with the 2.5 million teachers represented by unions. Your family made much of its fortune through Amway, a quasi-legal pyramid scheme that, according to one suit that cost the company 150 million dollars to settle, "induces salespeople to buy thousands of dollars of overpriced products and useless success tools and then to recruit others to do the same thing in an endless chain scheme that dooms, by design, nearly all to losses." Do you think as Secretary at DOE you might be able to use such a multi-level marketing scheme to raise needed money for public schools? Do you think pyramid business schemes should be taught in school? In interviews you have discussed visits you have made to charter schools and the wonderful programs you saw there. Would you discuss any visits you have made, ever, to a traditional public school and talk about the programs you saw there? Your predecessors at the federal Department of Education have faced a great deal of criticism for advocating the use of standardized testing to rate schools and teachers. Explain in detail the pros and cons of these so called Value-Added Measures, how they are calculated and whether or not you think they are a good way to evaluate teacher or school performance. Can we see the valued-added scores of the charter schools in Detroit, please? In the end, Ms. DeVos, as the person designated to lead the federal Department of Education, overseeing the programs and resources for the 90% of American school children who attend traditional public schools, does a viable system of public education matter to you at all? Take your time with this one, but not as much time as you have taken to sign your required financial disclosure forms. As I am writing this, I have learned that Senate Democrats are calling for a delay in the hearing because DeVos has failed to file financial disclosure forms necessary for approval. We'll see how that goes, but I would certainly find the hearings to be entertaining, if Senator Casey or someone else would just ask the questions above - and I do think that a site visit to Detroit is a great idea for the full committee. In previous posts in this series on grading, I have argued first that grades fail to motivate genuine learning and second, that they provide only vague unhelpful feedback to students. But what about parents? Many teachers say that they must give grades because parents demand them. It is true that most parents view grades as useful feedback, primarily, I believe, because we teachers have sold grades as effective feedback for 150 years. Parents want an answer to the question, "How is my child doing?" For most parents, grades seem to provide the answer to that question. But what if we showed parents that that question is only poorly answered by a letter or number grade and that we can provide them with much richer information? What if we could provide parents with the answer to that question and at the same time let them know what we can do together to help the child achieve even more? The transition might be bumpy, but ultimately, I think parents will see that a different approach to answering the "How is my child doing?" question will be much more rewarding. First, let's understand that the question, "How is my child doing?" is a complex one. Parents want to know how their child is doing academically, but they also want to know that their child's social and emotional needs are being met. Educators have long recognized that a grade on a report card can't provide all this information, so we have typically been given a checklist of behaviors to tick off like "Works well with others" and "Participates in class discussions." Still grades and checklists or written comments carry a fuzzy picture of a child's progress. We would do better to answer a few questions that are suggested by the this complex, "How is my child doing?" In a skill based subject like reading, what are the questions we want to answer for parents? I would suggest the following. Is my child reading at, above or below expected reading level for grade and age? Does my child enjoy reading and read for increasing lengths of time? Does my child read with adequate fluency (decoding, expression, rate) for age and grade level? Does my child understand what is read at an adequate level for age and grade? 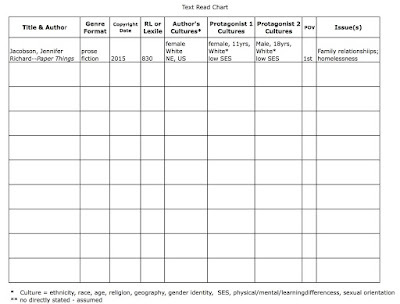 What strengths does my child exhibit in reading? What challenges does my child have in reading? 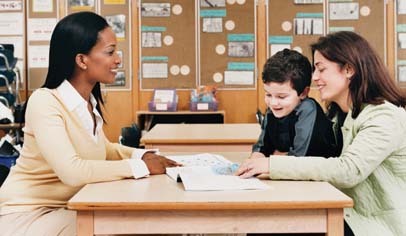 What are you doing in school to help improve my child's reading? What can I do at home to help improve my child's reading? I would discourage sharing with parents a specific level of reading or a specific grade level score in reading. This is information for the professional and not necessary for the parent. At, above or below level seems adequate for parent information. In content based subjects the questions to be answered change a bit, but the goal of actionable feedback stays the same. Let's take a social studies example. Did my child demonstrate a knowledge of the social studies content in the curriculum? To what extent has my child shown the ability to think and work like a social scientist? To what extent has my child shown the ability to read and comprehend social studies materials? To what extent has my child shown the ability to conduct research in the social sciences? Is my child developing an adequate social science vocabulary? What is being done in school to help my child improve performance in social sciences? What can I do at home to help my child improve performance in the social sciences? At first glance this may seem like a lot of information for the teacher to gather, but on closer inspection I believe that the answers to these questions are readily available to any teacher who has been observing the children in the class over several weeks. The answers to these questions come from running records, student in class work, anecdotal records of students performance taken by the teacher as students are engaged in a variety of activities, as well as from traditional tests and quizzes. The information is richer and more informative than any single grade or standardized test score could provide a parent. This approach also argues for the primacy of the teacher as being in the best position to assess a child's abilities. It may appear that reporting like this is best suited to a parent teacher conference, which typically happens once or twice a year in school. While a regular conference might be the best way to deliver this information. other methods could be just as effective. One alternative is the narrative report card, where answers to questions such as those above are shared with parents in a narrative format. Teachers are provided with a report card template with question prompts to respond to in a narrative form. This approach would be time consuming, but perhaps less so than having 4 conferences a year. Another possibility is using technology, like Skype or Facetime, to make conferring more convenient for teacher and parent. Ultimately, technology may replace the need for periodic reporting out, with details of student performance available to (older) students and their parents as soon as teachers enter the information on a school database dedicated to the purpose and password protected. Whatever the method of reporting, I think we need to admit that grades are a woefully inadequate form of feedback that actually does damage to the true motivations for learning. If we start from tat proposition, than problems related to changing the system become less daunting. I am sure that my readers who teach middle and high school are saying to themselves that this may be fine for elementary teachers who have 25 students, but how can I do this when I have 125+ students?Well, we first need to remember that while elementary teachers have fewer students they are reporting on more subjects, so any class of 25 in elementary school with 5 subjects to report on is more or less equal to a secondary class of 125 with one subject. There are issues with grade reporting in the secondary schools that are different, however, and I will deal with them in a future post in this series. To read about a procedure that two school districts used to do away with grades in elementary schools click here.